This program operates once a year in rural community schools. We proved school bags to children in vulnerable conditions. This program operates yearly especially during school reopening when CADAC visits different rural communities in the country to provide school needs to children in vulnerable conditions. Beneficiaries of this program usually are but are not limited to, children whose parents are serving a prison sentence and children in poor or rural communities. Many poor families have come to count on BFL and CADAC to provide quality backpacks and school supplies. We believe passionately that each child should receive the dignity of carrying their own backpack and school supplies. These Bags usually consist of school and toilet needs like books, pens, uniforms, toothpaste, toothbrushes, body lotion’ etc. The Bags To School Support Program makes it possible for us to provide backpacks and supplies to kids across our region. It also ensures that every child has as an opportunity to hear the good news! 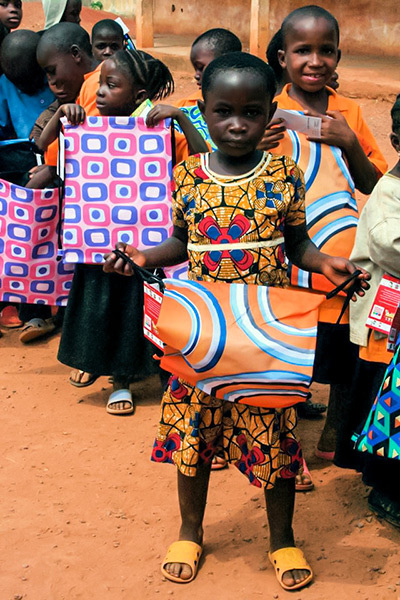 Last year, we were blessed with partnerships that enabled us distribute 8,000 bags to the poorest of the poor. Since the start of this program, thousands of children have benefited from the program. With continuous support from our donors, we hope to expand the project to other communities in different regions of the country. Send us an email and we will send you info on how you can be part of this opportunity to bless families.